Dr Katie Inwood-Roy is a York region chiropractor. She is passionate about peri-natal wellness (pregnant & post-partum moms) and children’s health. She works with her patients to ease pregnancy related problems and optimize the pelvis for a quicker and smoother labour and delivery. Dr. Katie is passionate about utilizing non-invasive approaches to encourage optimal fetal positioning to give each woman options of how they bring their baby until the world. 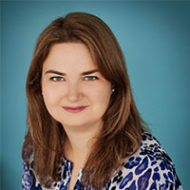 She is certified in Webster Technique, Thompson Technique and Acupuncture (May 2019); she is also a member of the International Chiropractic Pediatric Association. Out of the office, you’ll find Dr. Katie in the pool or exploring the outdoors with her awesome husband and their dog.